Earlier this year, Justin and I signed up for a membership at BJ’s Wholesale Club. If you’ve never been there before, it’s simultaneously glorious and completely overwhelming. They pretty much have everything that you will ever, ever need (and a ton of stuff that you will never, ever need) and everything is in bulk. And some of the locations even sell booze. As long as you’ve got the storage space for your items, it’s great. I’m not going to name names, but someone in this house (hint: not me or Brody) has a tendency to go a little hog-wild on these shopping trips and come home with, say, a 5-lb bag of rice (we don’t eat rice all that often) or a bag of tater tots the size of a couch pillow. I’m not sure we’ll ever get through the Ramen and Annie’s Mac and Cheese that was stockpiled before the hurricane in August (or in case we found ourselves back in freshman year of college). 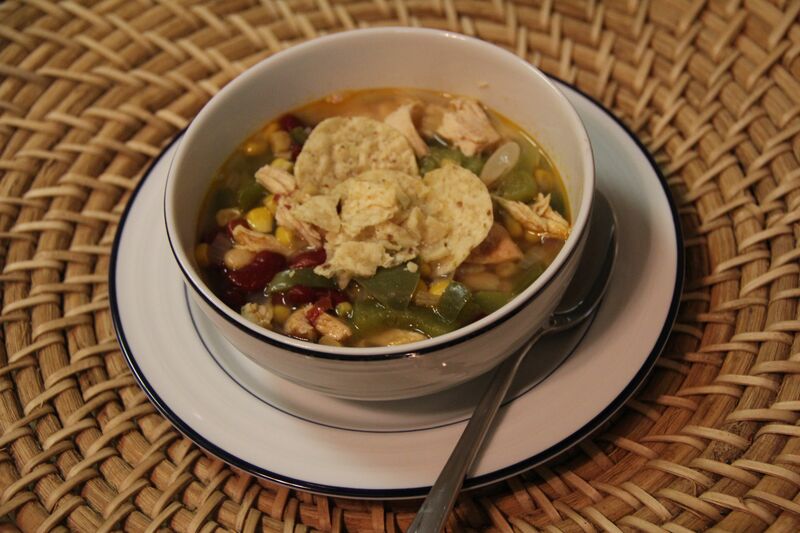 Note: if you have a dutch oven, I would recommend using it for this recipe. I have a 3-quart saute pan that I started with and then transferred the ingredients to a soup pot to finish it off. Begin by thawing a pound of boneless, skinless chicken breasts. Heat olive oil over medium heat until simmering. 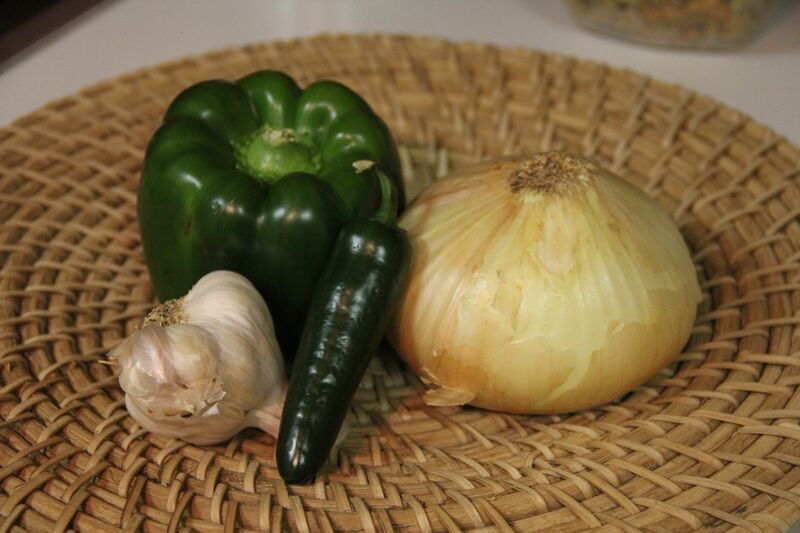 Dice your onion, jalapeno and garlic and cook until the onion is softened, about 5 minutes. Stir to combine and cook for about 5 minutes. 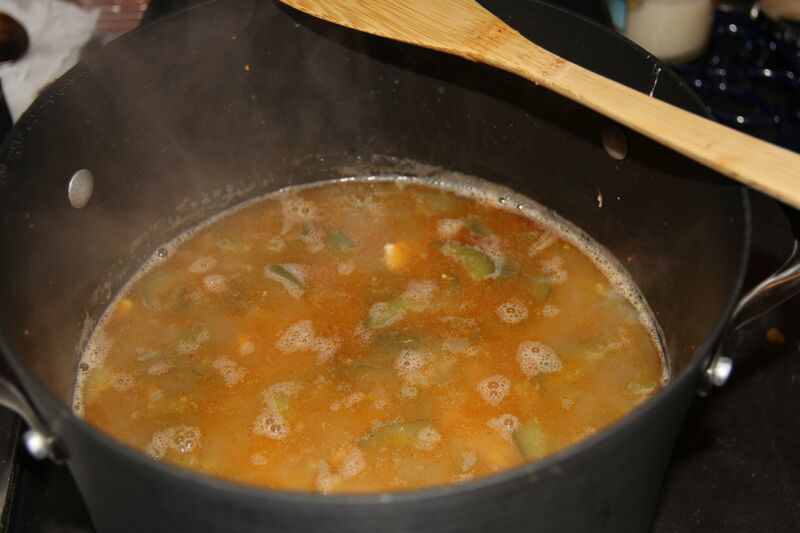 Transfer the contents of the saute pan into a soup pot, stir in the chicken broth, corn and beans and bring to a simmer. Add the chicken and simmer, partially covered, until no longer pink, about 15 minutes. Remove the chicken and shred into bite-sized pieces. Return the chicken to the pot. Continue to simmer until ready to serve. Serve with cornbread or top with tortilla chips, sour cream, avocado or anything else that tickles your fancy. Begin by thawing the chicken breasts. Heat olive oil over medium heat until simmering. 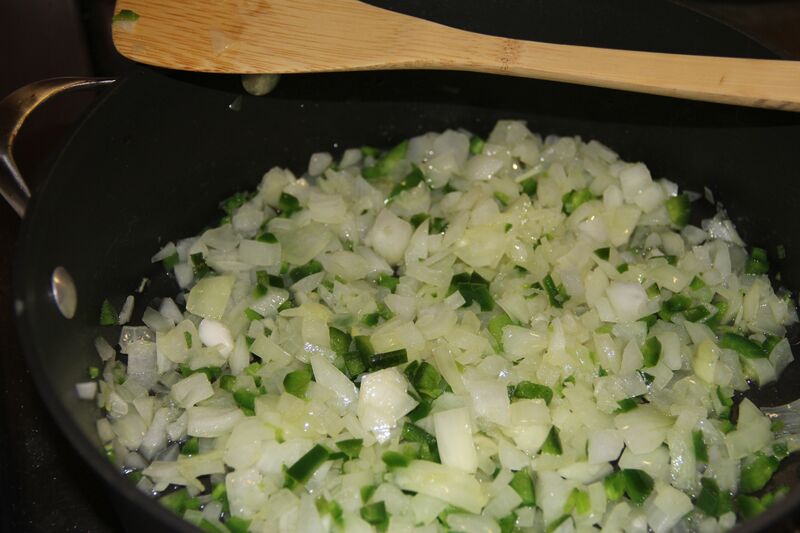 Dice your onion, jalapeno and garlic and cook until the onion is softened, about 5 minutes. 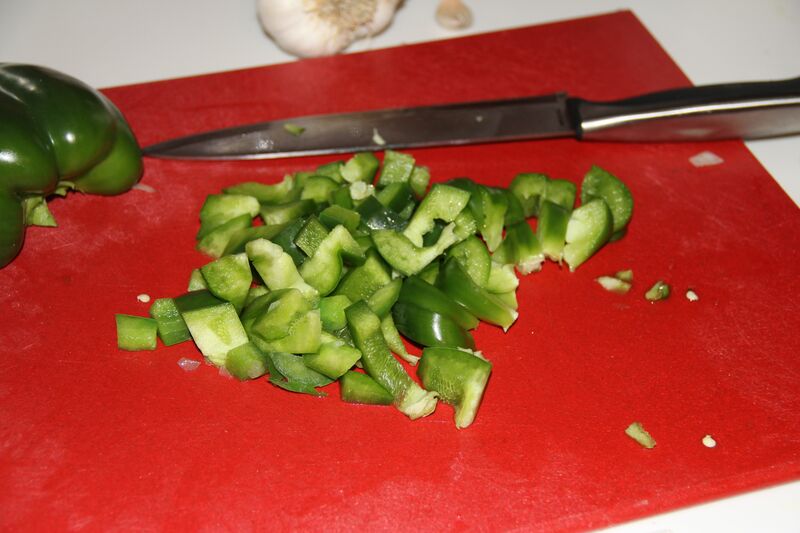 While the onion is cooking, chop the bell pepper and then add to the pan, along with the chili powder. Stir to combine and cook for about 5 minutes. 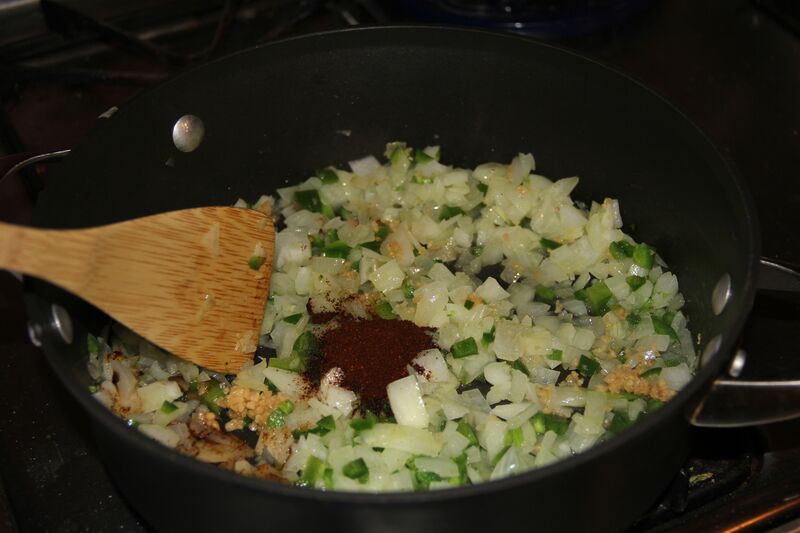 Transfer the contents of the saute pan into a soup pot, stir in the chicken broth, corn and beans and bring to a simmer. Add the chicken and simmer, partially covered, until no longer pink, about 15 minutes. 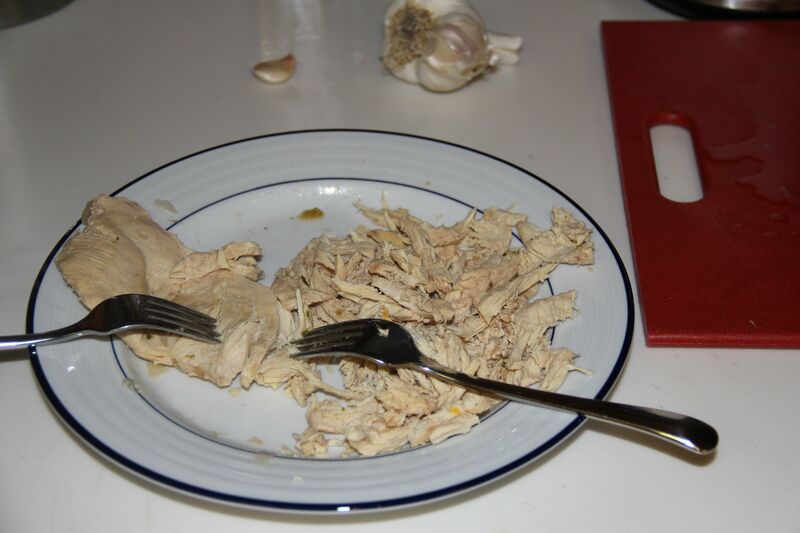 Remove the chicken, shred into bite-sized pieces and return to the pot. Continue to simmer until ready to serve. Top with tortilla chips, avocado, sour cream, etc or serve with cornbread. I’ll put some soup in the mail tomorrow so that you don’t have to eat through another screen. That’s an expensive habit!